This module provides the capability to handle a simple approval process for a user request. 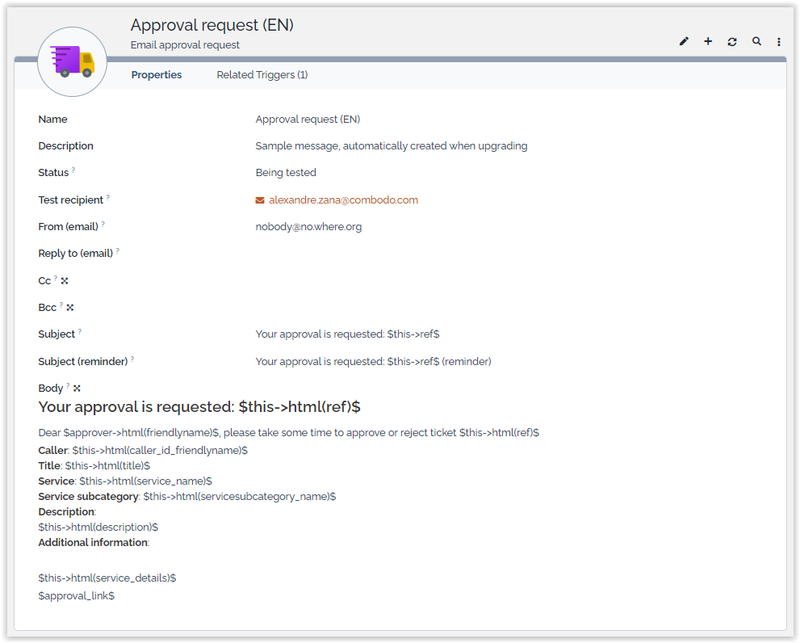 It notifies a selected approver by email in order to approve or reject a user request. This approver do not need a login in iTop to approve the request. 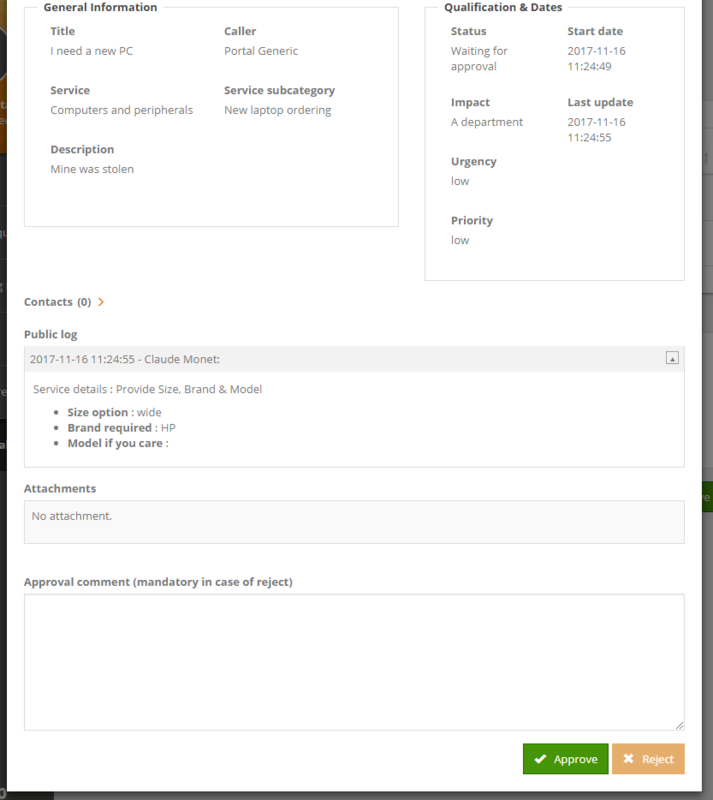 New in 1.4.0: Tickets waiting for Approval and bulk approval available in Portal. 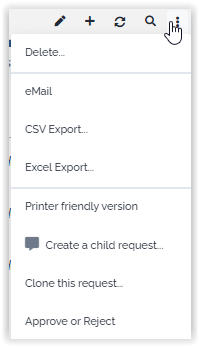 2018-06-26 1.4.2 - New translations (ES, BR) and fix CSV import of TriggerOnApprovalRequest. 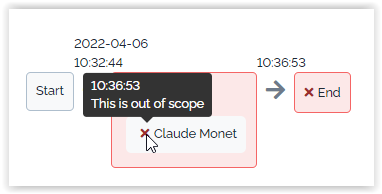 - Fix attachments unavailable in portal when object waiting for approval was not within user's scopes. 2016-07-11 1.2.0 Now requires iTop 2.2.0! 2015-09-29 1.1.3 It is now mandatory to select an approver. It the previous version, leaving the approver undefined would cause the ticket to be in the state “waiting for approval” with no way to get out of there! 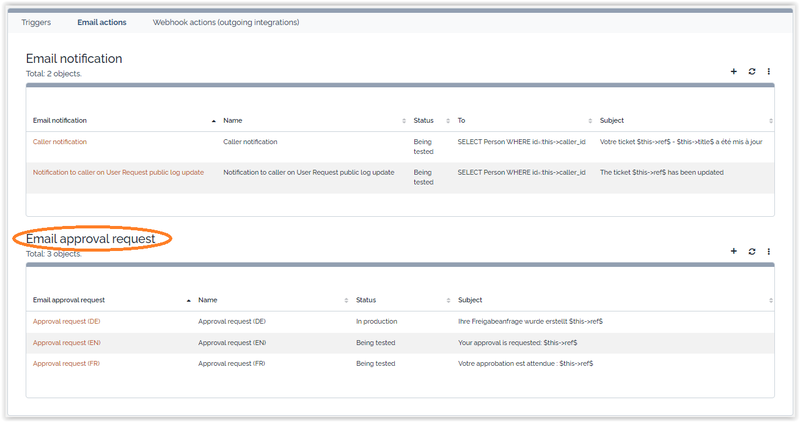 Check Approval process light in the list of extensions at the end of the interactive wizard. approval-base email_sender string Sender eMail address, as seen in the approval email. If left blank, sending the email will likely fail. 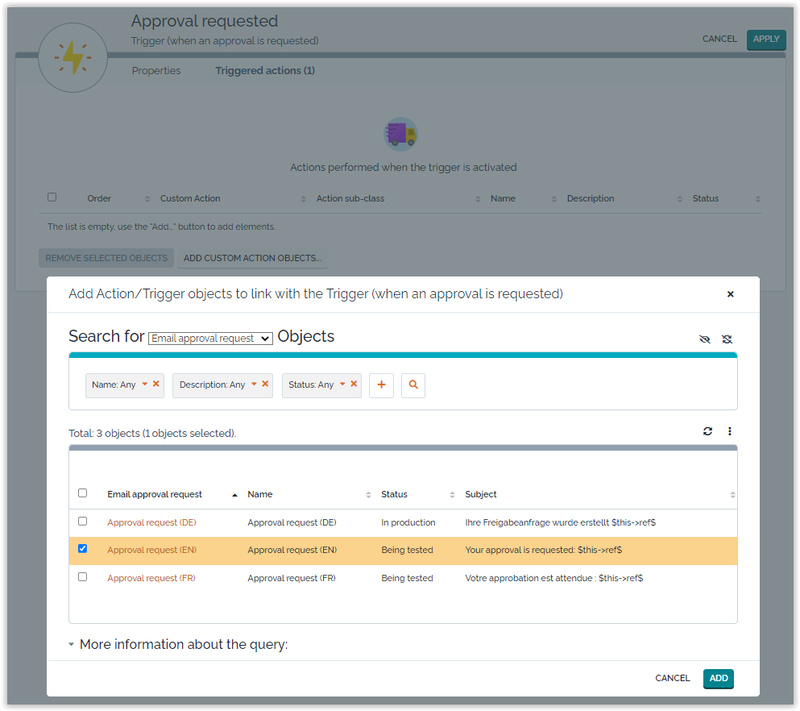 A specific action Wait for approval is available on all User Requests in state New. 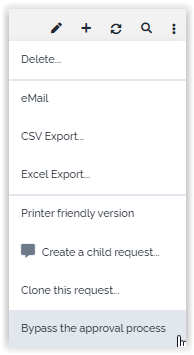 When the user selects this action, she will be prompted to select the Approver contact. Then the User Request enters the state Waiting for approval and a notification is sent to the Approver. The Approver can approve or reject the request by clicking on the link provided in the email (an iTop login is not mandatory for this action). Alternatively, she can approve or reject from within iTop. If there is no answer within 5 days (configurable), the answer defaults to Rejected (configurable).